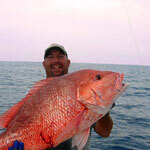 We organise Liveaboard Fishing Holidays onboard fully equipped sports fishing boats 30ft and above. Staying onboard a long range Power boat will allow you to taste the full range of Fishing opportunities in Tanzania from the North in Pemba to the South in Mafia. The best Fishing Destinations in Tanzania include the waters off Tanzania's Islands of Zanzibar and Pemba; The Dar es Salaam Mafia Channel and Kilwa in South Tanzania. The boats are Crewed, full board catering is included and you can expect the highest levels of service and a great deal of comfort. Our knowledgeable and experienced boat Captains and Fishing Guides will take you to the best fishing areas and advice or instruct you on lots of different available fishing methods that are successful here. From bottom Fishing with baits, Spinning with poppers and plugs, casting surface lures, Deep Jigging, Trolling (live, whole dead or strip baits), Drop shot and Fly fishing. All boat Captains in Tanzania and Zanzibar strictly abide by local conservation rules regarding Fishing. We keep only fish that is going to be eaten within a day and try to release as much as possible. All Bill fish and Giant Travelly are released. Pictures of your Catches can be taken for personal records before releasing fish. If a possible fishing world record is taken, the fish will be weighed on a calibrated scale at your request. Your Captain will estimate the size of a fish allowing you to know it's weight and release the fish. The crew will assist you with the measuring of the fish.